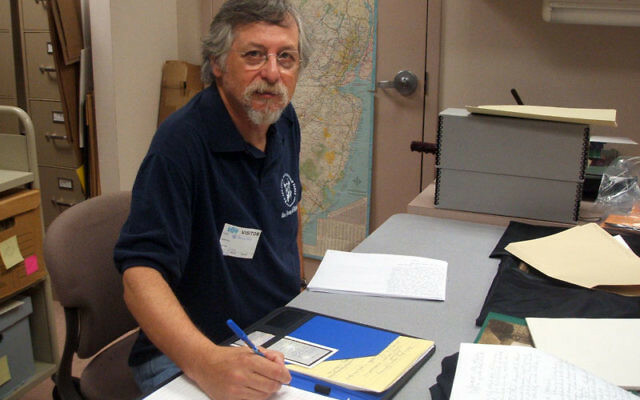 Bruce Form does his research on material he found at the Jewish Historical Society. The executive director of the Jewish Historical Society of MetroWest is used to fielding all kinds of requests for information and material concerning the local and New Jersey Jewish community. But a recent inquiry gave Linda Forgosh a bit of a surprise. “Would you have any information related to the Civil War era?” was the unusual question that came via a phone call from Bruce Form, a historian who lives in Highland Park. Forgosh also told Form the JHS had material on Morristown’s Sire family, who, she said, “made their living buying horses and selling them to the Union Army,” as well as a copy of Early Jewish History in Morristown. This was enough to convince Form to pay a visit to the JHS — on the Aidekman campus in Whippany — to see what else the archives had to offer. The Civil War letters Forgosh had waiting for Form to examine were written in 1864 by Hart Dettelbach, an 18-year-old who had run away from home to join the Union Army. He wrote to his mother from sites in Virginia — Spottsylvania Court House, Bristow Station, Poplar Grove, Fairfax Station, and Petersburg. The Dettelbachs were related to one of Newark’s prominent Jewish families, the Hollanders. The young soldier died of pneumonia in camp. 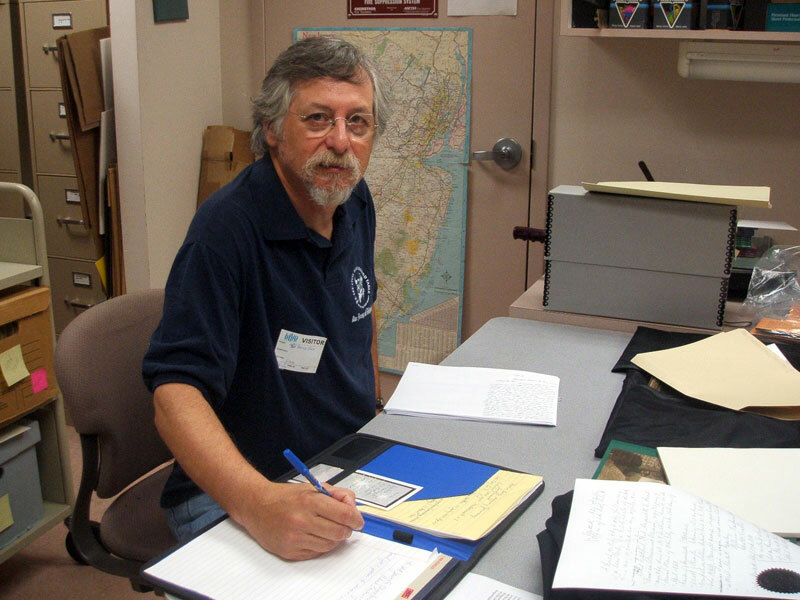 When Form came to the JHS, he was wearing a T-shirt with the logo of the Robert E. Lee Civil War Round Table of Central New Jersey, where he serves on the executive committee and as executive director of the Civil War Library and Research Center. The letters and other material he found at the JHS, he told Forgosh, would advance his research for an article he is writing about New Jersey Jews who served in the war. Among his previous writings is a biography of Captain Myer J. Asch that is included in New Jersey Goes to War: Biographies of 150 New Jerseyans Caught Up in the Struggle of the Civil War. Form takes on the role of Captain Asch, who was with the First NJ Cavalry; his wife portrays Miss Rebecca Moss, secretary of the Ladies Hebrew Association for the Relief of Sick and Wounded Soldiers. And they don’t confine themselves to the Union side; as their Confederate personae, Form is Major Raphael Moses, chief commissary of Longstreet’s Corps (First Corps), Army of Northern Virginia, and his wife assumes the role of Moses’ wife, Eliza, who was active on the home front. The Forms have been researching Jews and the Civil War for over 10 years and they frequently deliver talks at schools and historical and Jewish organizations to educate people about the roles Jews played during the war, both in the Union and the Confederacy.